These days, if you want to earn real cash from your business, then you need to invest in the era of eCommerce. More consumers than ever before are browsing through products from the comfort of their own home via a smartphone, tablet or computer. Once they find an item that they want from your business, you need to make sure that you have a way of processing their payment. 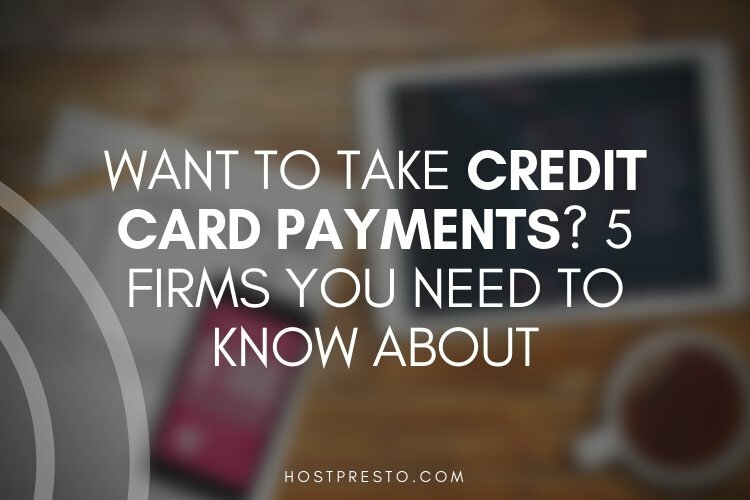 To help you take the next step into your business future, we've put together a list of the 5 firms that you need to know about to process credit card payments. Both online and online, WorldPay is one of the biggest names in the UK for credit card processing. In fact, the company handles over 40% of all card transactions. WorldPay offers features like an online payment gateway that accepts over 116 currencies, and an online merchant management account. On top of that, the flexible pricing plans for WorldPay make it an exceptional option for anyone. WorldPay accepts all major credit and debit cards and includes fraud screening to keep you and your customers secure. However, it's not a complete end-to-end eCommerce solution. You'll still need to build a website. Unlike WorldPay, Shopify has the benefit of being a complete eCommerce platform, offering everything that you need to start running your online business. With a free trial to get you started, it's easy to launch your company in no time. 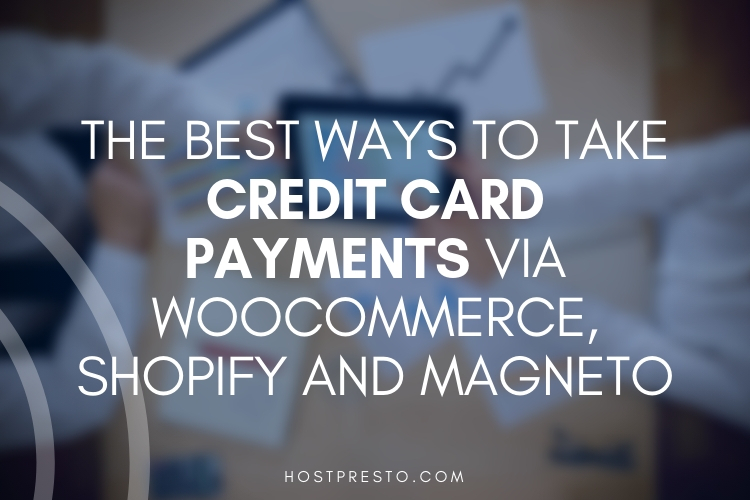 What's more, you'll find that Shopify fees for credit card payments are very competitively priced compared to other options. There's even a service available to help you recover the people in your buyer's funnel that end up abandoning the checkout page. The biggest downside with Shopify is that there are monthly fees to pay if you want to use the service, and you will also need to pay additional fees for using alternative payment gateways. Virtually every consumer and business with an online payment option has heard of PayPal today. In fact, this is one of the first names that most people think of when they're looking for secure ways to make online payments. Today, over 20 million shoppers in the UK use PayPal for their transactions each year. Additionally, PayPal is one of the easiest companies to start working with if you're new to the eCommerce space. Customers will be able to pay you with either their credit card or their PayPal account, and the transaction will always be mobile-friendly. Additionally, there's built-in fraud protection as standard to keep you safe with even international payments. The biggest downside is that the PayPal fees can be quite high, and PayPal doesn't always get the best reviews when it comes to dealing with client problems. Stripe started off as a small alternative credit card payment system for people who wanted to avoid the issues that were common with PayPal. 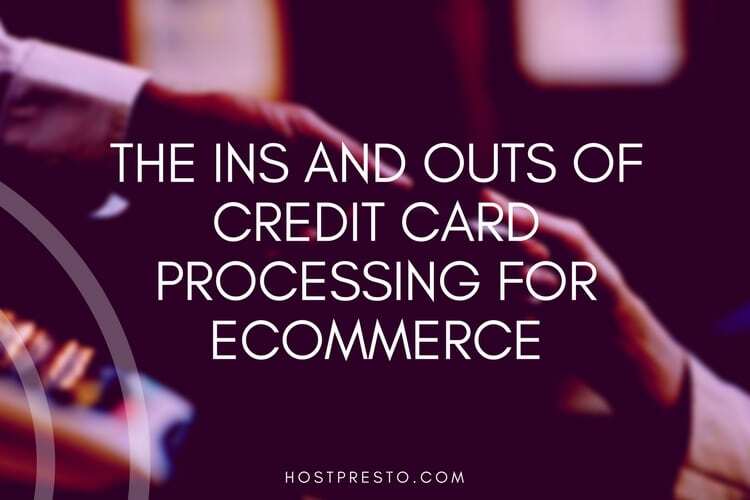 However, over the years, it's quickly become one of the most popular card payment systems on the market, thanks to the easy integration of the application and the ability to set up recurring direct debit and billing services. As with many other payment options, you'll still need to provide your own shopping cart and website to start your online business. Stripe offers benefits like no hidden fees and simple transparent pricing, along with real-time fee reporting, and competitive fees for accepting European credit cards. On the other hand, it's worth noting that you do need some technical knowledge to get this system working, and there will be higher fees with Stripe than on some of the other payment options mentioned here. Additionally, it takes 7 days for your transfers to arrive in your bank account. Finally, SagePay is a simple but effective solution for accepting credit card payments, whether you're running an online or offline business. SagePay claims that as many as 55,000 businesses are currently using their system to offer services and products to customers. What's more, SagePay is one of the best-rated card transaction companies in the United Kingdom, with a secure checkout integration option and flat monthly fees. The biggest issue with SagePay is that it's designed for smaller businesses. If you generate more than 3,000 transactions in a single month, then you'll need to get a bespoke quote for your services. Additionally, it's quite expensive to phone the support team if you need any help. This can be quite detrimental when you consider the fact that you do need some technical knowledge to get SagePay up and running.